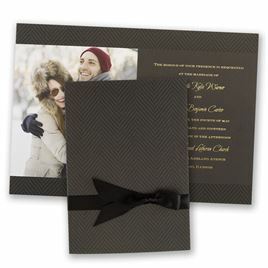 Looking for wedding invitations that really shine? 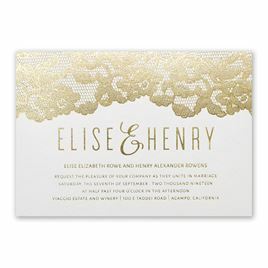 This beautiful collection of metallic wedding invitations is a great place to start your search. 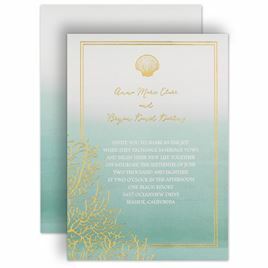 Metallics have become incredibly popular as a main wedding color or an accent color, and the wedding invitation is the perfect place to introduce your striking color choice. 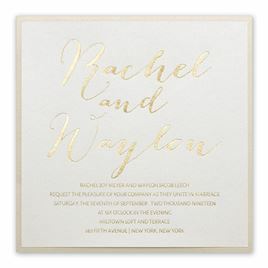 Gold wedding invitations are a big favorite in this very popular collection but the classic beauty of silver wedding invitations remains strong. You’ll also find other metallics like copper and rose gold, both of which are an excellent combination of intense shine and warm color. Metallic colors and personalization can be found on other items as well. 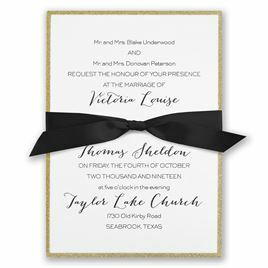 Wedding napkins are personalized with your choice of foil, and you get to choose from a variety of matte and shimmer foil colors. 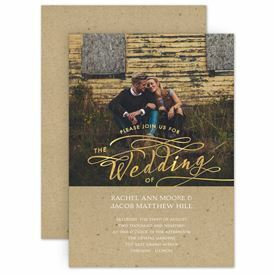 The same applies to wedding favors like favor boxes and favor bags. 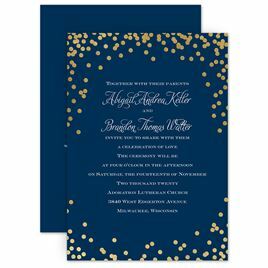 You can create a coordinated look just with color from the guest’s invitation all the way through the favors you hand out at the reception.